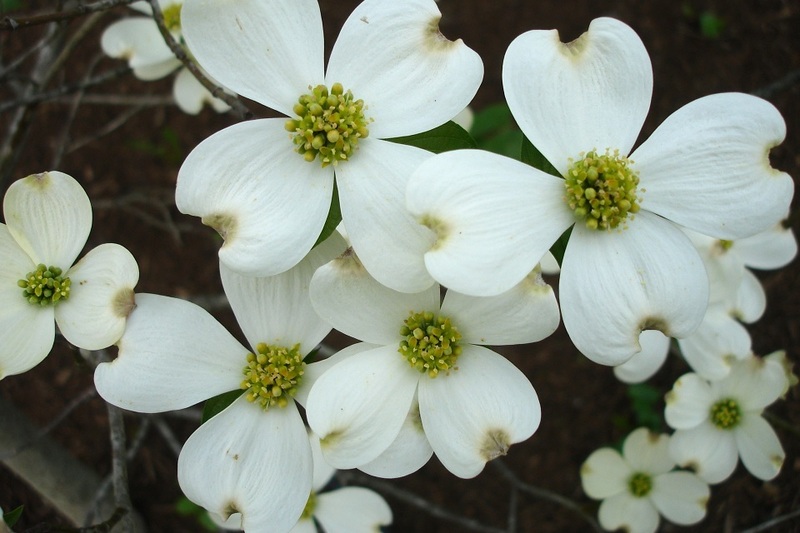 ‘Kay’s Appalachian Mist’ is among the flowering dogwood cultivars developed and released by UT Institute of Agriculture researchers. It’s resistant to powdery mildew and features beautiful white flowers event on young trees. Photo by A. Windham, courtesy UTIA. Download image​. As a child, the arrival of flowering dogwood, along with forsythia and quince, marked the beginning of wonderful things to come. Even with Easter’s wandering date from year to year, I somehow convinced myself that Easter would come soon with bright white flowering dogwood and warmer days would not be far behind. For me, there is nostalgia and a serene beauty in a woodland dappled with dogwood lying in wait for the flush of spring to arrive. There is much history and folklore behind Cornus florida from the Native Americans’ belief of ‘little dogwood people’ who served as protectors and guardians, to legend of its use in the crucifixion, and even its historical use as a topical medicine. However, there are some things we know to be fact. First, dogwood is native to Tennessee. The four-petaled blooms (usually white or a pale pink, but sometimes a deeper pink to nearly red) are not petals at all. They are actually scales that become showy bracts. The flowering dogwood is truly a plant that adds color and interest to any landscape during all seasons. Not only do we treasure the blooms in spring, but we appreciate its low-branched canopy in summer, its vibrant orange, yellow and reddish-purple foliage in the fall, and the plant’s bright red berries in winter. Though beautiful, this tree also trends toward practicality by providing winter habitat and food sources for more than 40 bird species. With the various growth habits that are available, dogwood can be used with great success as a specimen planted near structures or in groupings in the forefront of dark evergreen foliage for a real kick of contrast. Flowering dogwood performs well in the understory of larger trees, but it can thrive in sunnier locations. First, attempt to mimic the soil environment of the forest which the love. They are happiest in acidic well drained sites. Next, providing leafy compost, mulching the root zone for cooling effects, and planting specimens a bit high to improve air exchange will improve your likeliness of success. Although establishing a new planting can be tricky, these tips can help improve your odds. The flowering dogwood is susceptible to several pests including dogwood borer, dogwood anthracnose, as well as powdery mildew and other leaf spots. However, by selecting the proper planting location we can reduce stress which can alleviate many of these pests. At the UT Gardens, Crossville, you’ll find selections of Cornus kousa on display in the Discovery Gardens, but we will save that species for another month. For more information about dogwood, check out the UT publication PB1670, Dogwoods for American Gardens, which is available online at the UT Extension website: extension.tennessee.edu. Just search for the publication by number.